Walsingham Farm Shop pop ups! 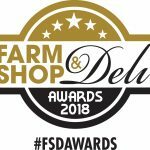 We delighted to have entered into this years Farm Shop and Deli show awards. If you feel we add something to the Norfolk food scene, the community which surrounds us or promotes ethical values please support us with your vote! We really appreciate all the votes we receive. Check our ‘Work with Us’ page for vacancies. We currently have vacancies for an experienced butcher, chiefly to work at Walsingham, and a part time deli cook, to work mainly at our Heacham shop. What’s new in the deli?